The Optoma TW865-NL is a large WXGA conference room projector capable of producing up to 6,000 lumens for an impressively bright picture. But while we looked at conference room projectors in our recent shootout, the TW865-NL is a completely different beast. First of all, at 1280x800 or WXGA, it is lower in resolution than those larger machines, yet still capable of showing a high-definition picture. Secondly, its 6,000 lumens are produced using one lamp, not two, which is both a blessing and a curse depending on the situation. Finally, and perhaps most importantly, it has a significantly lower price tag, coming in at about $3,999 without a lens. This makes it an attractive option for conference rooms and small meeting halls where high resolution is less of a concern, but brightness and full-featured performance are still high on the agenda. The Optoma TW865-NL is a large projector; the body weighs in at over 40 pounds. As such, your conference room should have a sturdy ceiling mount or a solid shelf in place to handle the projector. Make sure that the mounting location has plenty of space for ventilation -- the TW865 produces plenty of heat. The TW865-NL comes lensless (the NL stands for No Lens), so before you even consider setting up the projector you'll have to decide where it is to be placed and then do a small amount of math to figure out which lens will serve your needs best. The standard lens, which Optoma calls the A02, has a 1.25:1 zoom range and a medium focal distance. Also available are a 1.28:1 short-throw lens and a 1.9:1 long-throw, long-zoom lens. All lenses can take advantage of the projector's motorized zoom, focus, and lens shift adjustments. At startup, the projector sounds like a jet engine; the fans run at full speed for about thirty seconds until the projector is running smoothly. After this the fans come down and the picture comes up, and from that point fan noise is much less intrusive. In a ceiling mount, it is unlikely that the TW865 would be loud enough to distract your audience. The picture produced by the TW865 is bright and colorful, though the relatively weak black level makes it clear that this projector was designed for use in a room with ambient light. All of the projector's pre-set image modes with the exception of Bright and Blackboard have relatively neutral white balance, within about 1,000 degrees of the desired 6500K with some variations based on expected use. As an example, Presentation mode introduces more blue into the picture to combat predominantly yellow ambient light. Movie mode emphasizes dynamic range while sRGB mode opens mid-tones, making them suitable for video or photography. 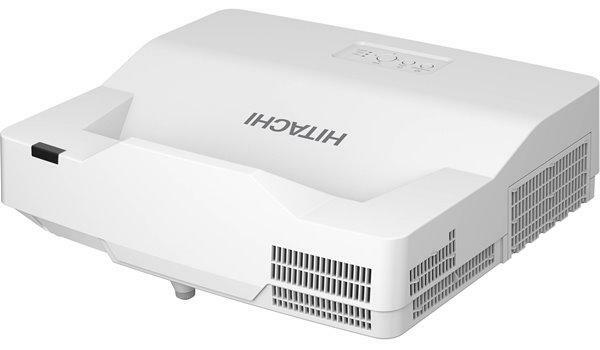 Would this projector work well for outdoor movies on a 30' wide screen with 16:9 ratio? Would I need a more powerful projector? What would you recommend without breaking the bank account? Appreciate your recommendation.